Our Marrakech Riad Hotels in the Medina are the perfect base for a Golfing holiday. There are three outstanding 18 hole within 30 minutes of your Ryad in Marrakech. We can help reserve tee times. The Royal was constructed by the famed and feared Pasha who resided at the Pasha Palace at the Dar el Bashah entrance to the medina. The course enjoys perhaps the most outstanding views of all the Marrakech courses benefitting from far sighted planting of trees when it was built in the 1920’s. The Royal course was played by Winston Churchill who was a huge lover of Marrakech. Located next to the Royal is The Amelkis. Designed by Cabbel Robinson and opened in 1995 the course is heavily bunkered with large greens and expansive fairways. It cleverly incorporates the irrigation works built by the Almoravide dynasty in the 11th century to support the growth of their capital city of Marrakech. The Palmaraie is built in a private valley around its stunning Moorish style club house, the course covers 190 acres boasting seven lakes and innumerable palm trees. Originally an 18 hole course designed by Robert Trent Jones a new nine will be added in Autumn 2008 to be used for tournaments in conjunction with the more difficult back nine of the original course. 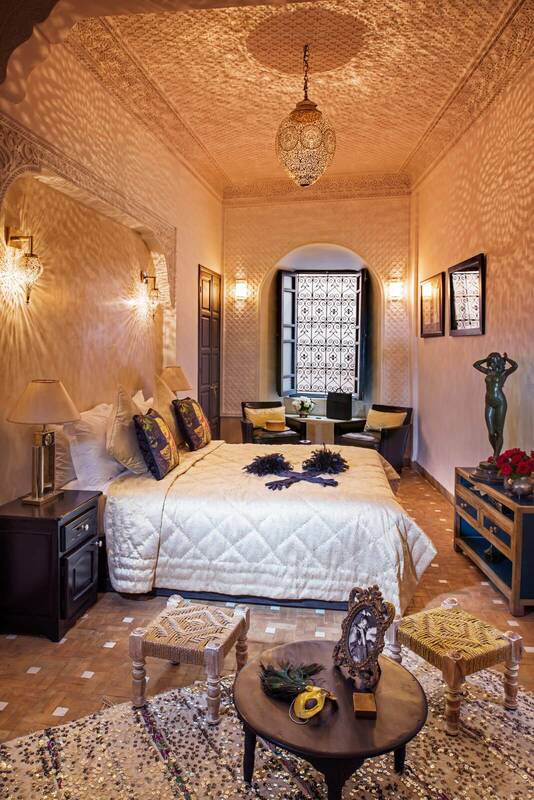 After a fantastic round of golf come back to your Riad, boutique hotel. The perfect base for exploring Marrakesh.